It’s only a matter of time before more people hear about IMPACT Climbing. With humble beginnings in Milton, Ontario, Canada, IMPACT has amassed over a decade of climbing wall manufacturing experience. Building a successful business is an enormous undertaking. It takes dedication and hunger to become an entrepreneur. Kyle and Erin Wilson, founders of IMPACT Climbing, understand this journey all too well. Building a climbing wall is like creating a business; many moving parts combine to make a solid structure that endures. But with a team of experts behind them, success is possible. IMPACT Climbing’s story began with a love for climbing. After Kyle’s first exposure to climbing, he knew he wanted to share this with the world. Before his venture as an entrepreneur, Kyle built his skills in the trades. He’s a craftsman with the ability to create just about anything: he brings his visions to life. It was Kyle’s dream to one day open a climbing facility. 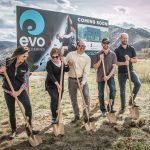 As luck would have it while looking further into opening his own facility, an opportunity presented itself and Kyle was hired at the ground level of a new climbing gym start-up. Being there through the early stages of construction, he was introduced to a world that combined his construction background with his love of climbing. He quickly picked up on the tricks of the trade, making industry contacts that later fueled the start of his own company. But, he didn’t know that at the time. Adversity is a part of success stories. Working for a climbing gym seemed like the right fit, but when that was taken away, a new vision emerged. Having previously made a great connection with Rockwerx USA, Kyle forged a plan to become their Canadian Sales Rep. The success of this relationship grew into what later became Rockwerx Canada. Even with a great product behind him, the climbing landscape in Canada was still sparse and phone calls were not rushing in. In 2009, Kyle landed his first project. He hustled for this sale and cut his profits from this job, but he knew that this would be his start. Of course, a business practice like this is not sustainable. To makes ends meet while promoting their new business venture, Kyle and Erin constructed a portable climbing wall. With the wall in tow, they traveled to events and fairs on weekends: set-up, belay, tear-down. This process of hauling the wall from fair to fair allowed them both to gain valuable experience in bringing climbing to the masses and would later influence their vision for their future climbing gym business. Through their dedication and perseverance, their big break finally arrived. This small Canadian company landed a substantial project through the Daniels Corporation, a premier construction company for high-rises and condos in the greater Toronto area. This was the catalyst that pushed their climbing wall manufacturing to the next level. Valuable experience was gained working through tenders with corporate construction firms, municipal building codes and all the rigorous cross-border requirements for large scale construction projects; now an everyday practice for IMPACT Climbing. In 2014, the industry was changing and experiencing rapid growth in climbing wall builds and start-up facilities. 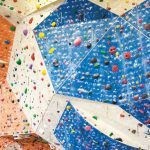 As demand increased the need for lower cost climbing wall solutions and reduced time on-site pushed Kyle to develop his own climbing wall panel system, now known as Velvet GRIP. The new system, named for its texture, had unique properties in comparison to existing textures on the market. Velvet GRIP strikes a beautiful balance as it provides excellent friction, without excessive roughness on the skin or on climbing shoe rubber. It also has a durable clear finish that allows the warmth of real wood to show through the finish. Using cabinet-grade plywood, custom pre-fabricated steel-frame construction and unique wall designs with each project; this Canadian company was indeed making an impact. 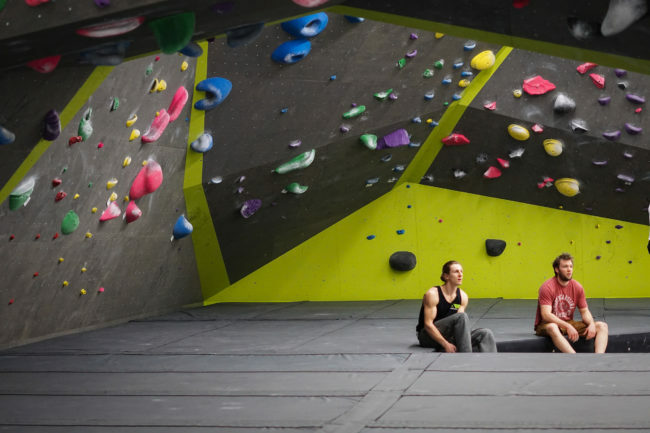 In 2017, Kyle and Erin formed IMPACT Climbing Inc. to further the development of their innovations under their own brand, with the official launch at the beginning of 2018. From commercial climbing gyms to small residential projects and just about everything in between, Impact has done it. “Every project sees the same level of importance and meticulous detail because it’s a big investment for business owners, regardless of the scale.” Says Robert Jamison, IMPACT’s sales manager. 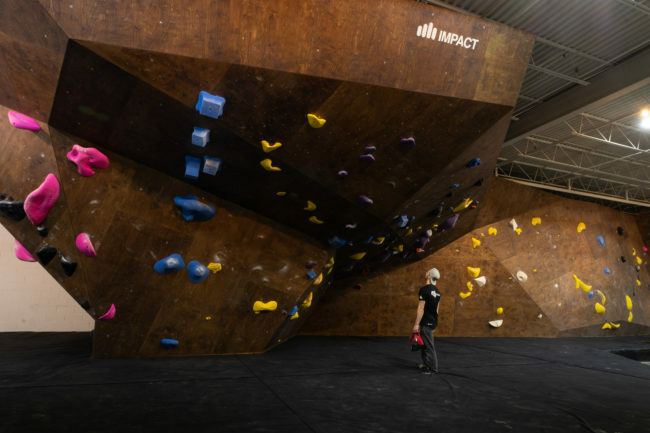 IMPACT Climbing has left their footprint across Canada since 2009, with projects that include Grand River Rocks, Junction Climbing, Alt Rock, Top Rock, Boulder Bear, Rock Jungle Fitness, Aspire Climbing, Beta Crux, Back Bone and Boulder Parc, to name a few. 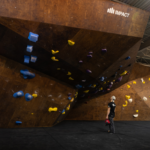 The impact has stretched beyond the climbing industry to include other corporate, commercial and fitness facilities like Google in Waterloo, MLSE in Toronto, The University of Guelph, the Ontario Science Centre, and playgrounds such as Air Riderz Trampoline Park, Ninjaz Canada, Inja Nation, AeroSport Trampoline Parks, Free Run, Jack’s Urban Jungle and Sky Zone in London and St. Catharines. Beyond Canada, IMPACT Climbing has completed several international projects in the US, Europe, Australia and Dubai. The team behind IMPACT Climbing has served as the backbone of all their achievements. The limit to the scope of IMPACT’s capabilities is high and they’ve barely scratched the surface of their design, fabrication, construction and service team’s potential. 2016 marked another significant milestone for the husband and wife duo. Before dabbling in the climbing industry to support her intrepid entrepreneur, Erin was a professional educator and craved an outlet for development. Hark back to Kyle’s earliest goals of running a climbing gym and combine that with his increased experience with each new IMPACT build; owning and operating their own facility became a goal to aspire to. Lead by an incredible team and with Joë Layno at the helm as the General Manager, Aspire Climbing and Fitness opened its doors in April of 2016. The synergetic relationship between IMPACT and Aspire is exemplified by sharing the same address in Milton, ON, Canada. 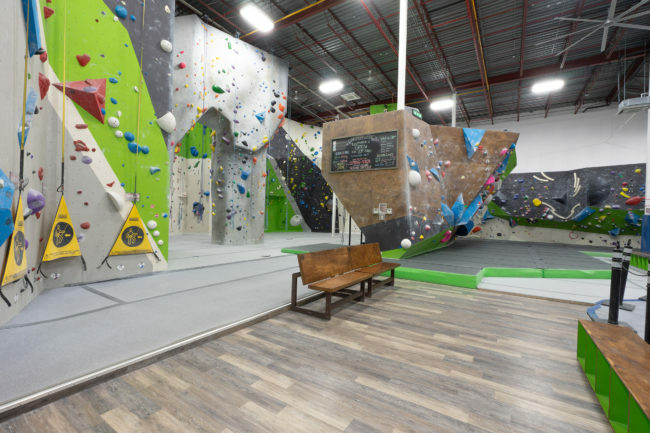 Aspire Climbing and Fitness serves as the customer-facing side of their climbing enterprise, while IMPACT fulfills the manufacturing and construction of climbing structures, volumes, free climb attractions, ninja courses and flooring systems. 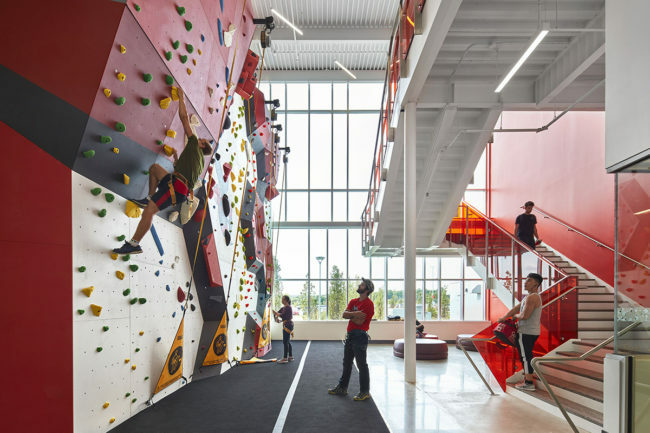 With a climbing facility under the same roof, new ideas and products are quickly subjected to real-world testing for rapid refinement prior to new product releases. So, what’s next for IMPACT and Aspire? While IMPACT increases its market penetration into the US and across the globe, Aspire is now offering franchise opportunities. 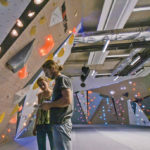 Aspire Franchise is a sustainable climbing gym model with full-service manufacturing and installation, from building permits and design/engineering to staff training and ongoing business consulting. Aspire Franchise is a 100% full turn-key business model for the entrepreneur, ready to climb on board this fast-growing fitness obsession. Impact is also looking for sales reps and distributors in Canada, Europe, Asia and the USA. To learn about our team, please contact us at [email protected]. 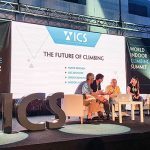 Be sure to visit Impact Climbings booth at the Climbing Wall Association 2019 https://www.climbingwallsummit.org/about.